Occasionally, new kit arrives to demo that bumps other favorites out of the rotation. 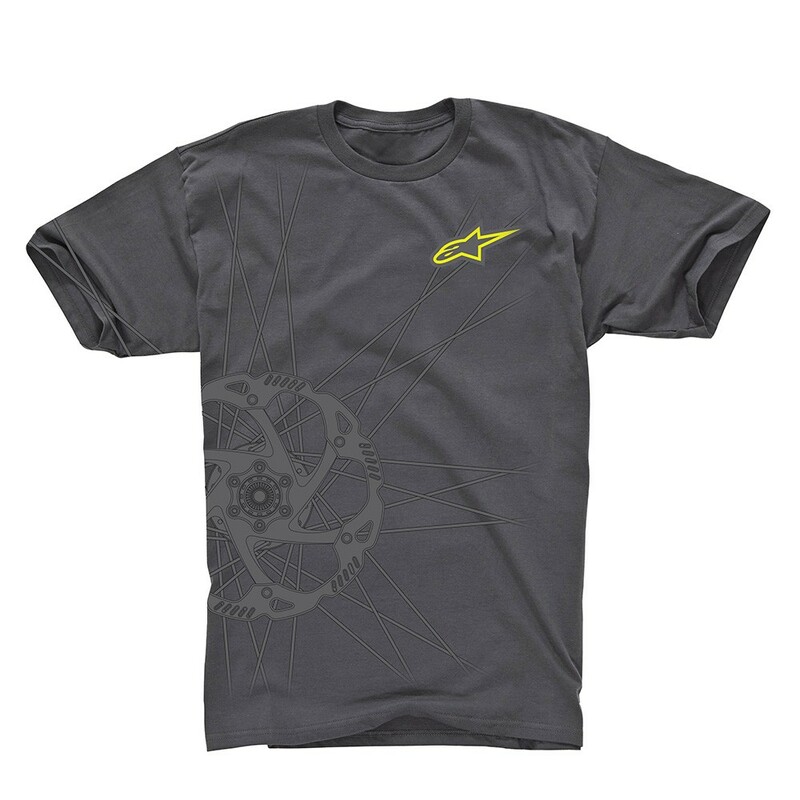 And, on this occasion, it’s the Paragon bib shorts and Tech Tees from Alpinestars. It’s the Italian fit, stitching, technical materials, pad and all that, but mostly the crossover from the road to mountain and vice versa. Whether you’re into all-road, gravel, adventure or whatever the marketers are calling riding on dirt these days, what’s happening is product designers are recognizing the burgeoning niche and designing gear for it. Like, for a roadie that’s back in the trees who wants durable, mountain-type gear that isn’t baggie. Total bonus when it adds discreet pockets for protection, hydration, and is stylish. It seems like Alpinestars spent millions developing the Paragon shorts, but more likely the body-mapping technology they developed for Moto has trickled down into the bike lines. Innovative, body-mapped main shell construction incorporating nylon/poly resistant lycra, perforated lycra, 3D mesh and elasticated straps. Incorporates removable impact absorption EVA foam padding on hips to provide additional protection in key impact area. Soft elastic on bottom hem with silicone grip keeps garment in position without causing irritation or chaffing. Convenient storage options provided by triple back lumbar pocket construction. Reflective details and logo on thighs, sides and upper back for improved riders’ visibility. Mesh compartment and conduits to accommodate hydration pack (as an accessory upgrade). Convenient storage options provided by triple back lumbar pocket construction. Back lumbar pocket features floating construction meaning garment can be worn under a baggy short. Not riding anything too gnarly, I removed the back foam pad and the large mesh compartment acts like a wick for perspiration, while the floating lumbar pocket is easy to get to a phone or snack. If you didn’t have too much to carry, you can slide a hydration reservoir into the compartment and get the pack off your back as well. Over the bib, I’m wearing the Tech Tee that’s constructed from cotton and advanced poly-fabric blend for comfort and moisture-wicking properties. Whatever Alpinestars is doing with the blend, it can go a couple rides without getting funky (your mileage may vary). It’s also stylish enough and comfortable just to wear off the bike. The Paragon bib shorts cost $249 at full retail and the tee is $37.95. The shorts are expensive, sure, but that’s a lot of high-performance tech for the money. Find Alpinestars online or at a shop near you.